Hello! I’m kicking the month off with some good news for five lucky readers! As you know, I have been running a stunner of a giveaway this last month along with my friends Nathalie and Tessa of Nu interieur|ontwerp and Paris based Hellopillow. 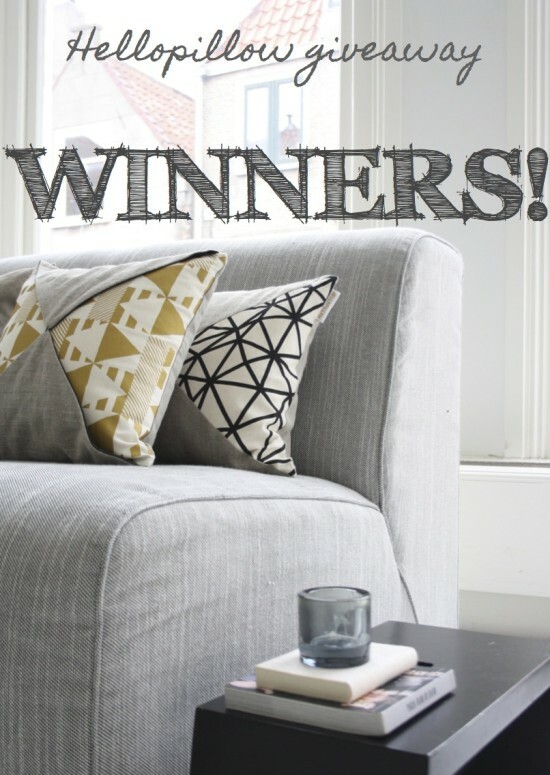 We are all very excited to announce the five winners, who will each receive one cushion from Hellopillow’s Graphic Moods collection. Thank you so much for your lovely comments, and for popping over to like the Avenue Lifestyle and Nu interieur|ontwerp Facebook pages. We hope you love your new pillow, and of course continue to pop in and say hello to us 🙂 Please get in touch with us with your address and full name and a preference of either black or gold so we can post your pillow off to you this week. We would also like to say a big thank you to Hellopillow for sponsoring this lovely giveaway. We love your products!